Congress extended the time limit two years but only 35 states approved the Amendment and five later rescinded their ratification. Opponents argue that failure to ratify before the deadline killed the Amendment, and even without the time limit Virginia’s approval this year would not make it the 38thstate needed to make the ERA part of the Constitution. I don’t think the deadline argument carries a lot of weight. Article V of the Constitutiongives Congress no authority to set a time limit on ratification of Amendments it proposes. By the plain language of the this Article Amendments, once proposed, become part of the Constitution upon ratification by three-fourths of the states without regard to how long it takes. The plain language of the Article also includes no provision for rescinding ratification – it simply says that a proposed Amendment becomes part of the Constitution upon ratification of three-quarters of the “state legislatures.” There is no “unless a State changes its mind” clause, and Congress ignored rescissions by Ohio and New Jersey of their ratification of the 14thAmendment. That said, the “last in time” principle suggests that if voters in a State objected to ratification by their legislature they could express this objection in an intervening election. If the newly seated legislature then rescinded ratification in time (before ratification by three-fourths of the States) it should arguably not be counted as part of the three-fourths needed. My review of Constitutional history doesn’t shed much light on the Founders’ view of either but I’m no expert. Most of the discussion related to amending the Constitution during its drafting and ratification I could find centered on making sure States had a path to making changes without regard to whether Congress agreed. 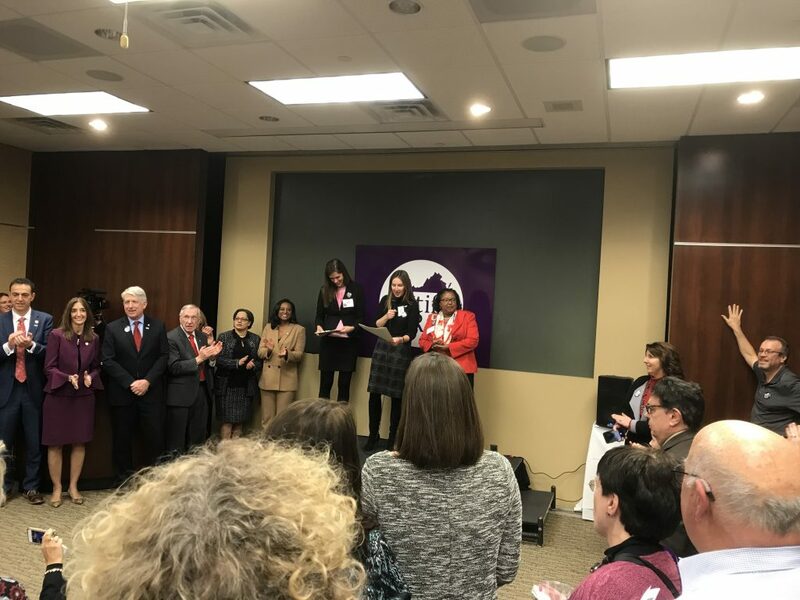 In any event, Virginia’s General Assembly should ratify the Equal Rights Amendment because it’s the right thing to do. Government should not privilege either men or women with respect to rights (voting, domestic law) or responsibilities (military service). Nor should Government privilege institutions (e.g., with tax exemptions) that discriminate on race, gender, or any other grounds whether or not justified by religious (or for that matter any other) doctrine. The ERA is necessary because Government still privileges both individuals and institutions in these ways. And it’s only dangerous to those whose power depends on this discrimination. This is, by the way, a Libertarian view insofar as it limits the power of government to manage society (e. g., by deciding what does and does not constitute a “religion”). Ratification by Virginia would not of course mean immediate inclusion of the ERA in the Constitution. It would instead start a lengthy court battle which, given the current composition of the courts (especially SCOTUS), likely results in a ruling that either restarts the process from the beginning or requires new ratifications to reach the three-fourths threshold. Either way, the women – and men – who support equality will not, and should not, give up. Social roles have already changed and conservatives cannot stop the social transformation I’ve seen during my lifetime from continuing. Women fly military aircraft in direct combat, and male control of business, military, and social (religious) institutions is coming to an end. Leaders in government and other social organizations, including Republicans in the General Assembly, better get a clue and manage this change rather than try to block it or voters will send them home. Just ask Bob Marshall.